Ian Dickie carries a range of the world’s most efficient ride-on trowels that deliver optimum performance during pan floating and final finishing. The range offered is the most comprehensive on the market with machine choices for the most demanding of flooring professionals. 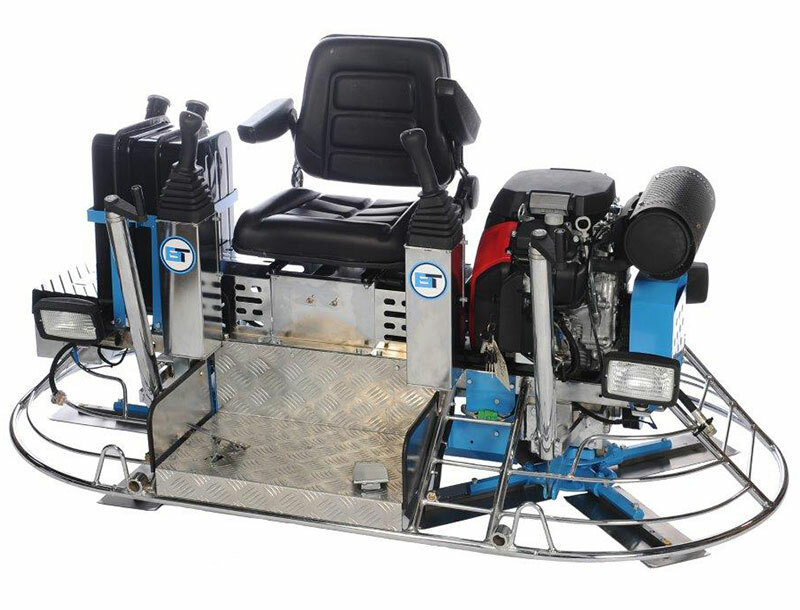 Featuring precision engineered gearboxes designed to withstand harsh site conditions as well as additional features such as easy, positive steering, crane slinging lift points, running lights and adjustable seats, make our ride-on trowels the perfect solution for every finishing professional or contractor.